The Collect Call: Episode 100! 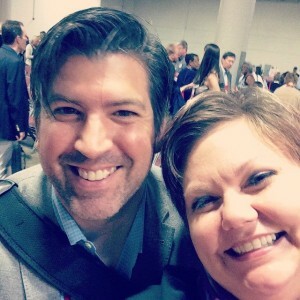 Co-hosts Brendan & Holli unite at General Convention. What began as a 7-episode pilot project reaches episode #100. We interview some of the people behind the scenes who have made this show possible, and reflect on what we’ve learned. Previous PostThe Collect Call: For St. James the Just & Social Media SundayNext PostBLOGFORCE: Where is Galilee for you?